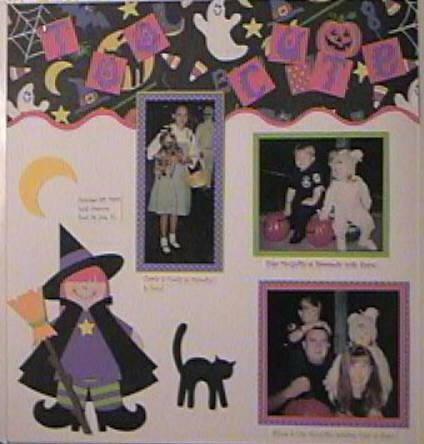 This layout is from Halloween 1999. The little witch is a Paperkins Doll...I just love her!! !